It seems impossible right? 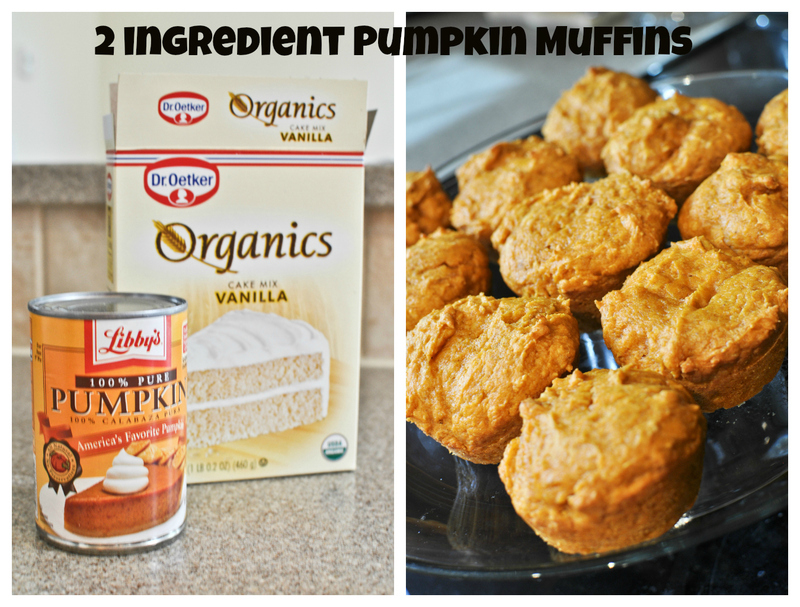 Two ingredients to make pumpkin muffins? I was skeptical myself to. But being pregnant and wanting to spend minimal time in the kitchen and on my feet I figured this is the type of pumpkin recipe I was up for. All it requires is a box of plain cake mix (vanilla or yellow). I opted for an organic cake mix because I figured it made this a little healthier. And the second ingredient is just canned pumpkin. 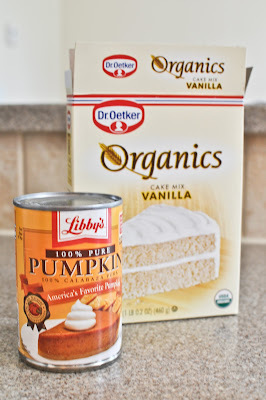 Pour in the cake mix and canned pumpkin. 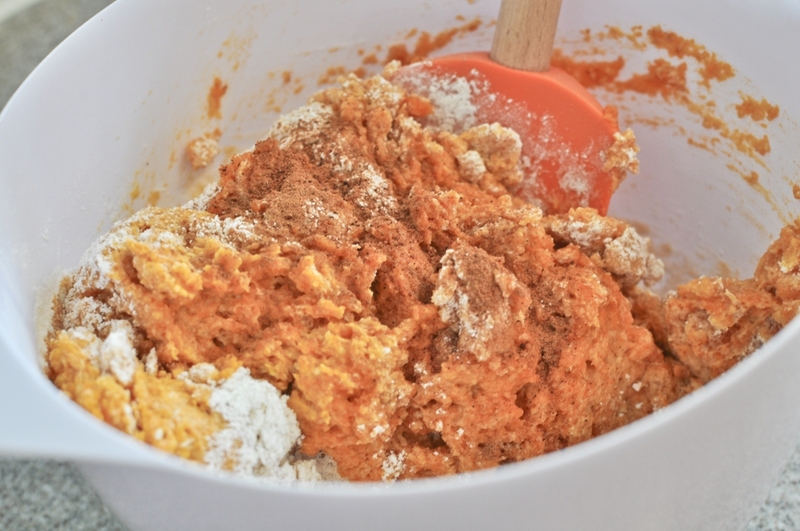 (I added a few generous shakes of nutmeg and cinnamon because I love the aromatic effect of those spices in fall baking). Stir well. Scoop mixture into a lightly greased muffin tin, bake at 350 until a toothpick poked in the middle of the muffins comes out dry. It's that easy! And these really were so delicious. 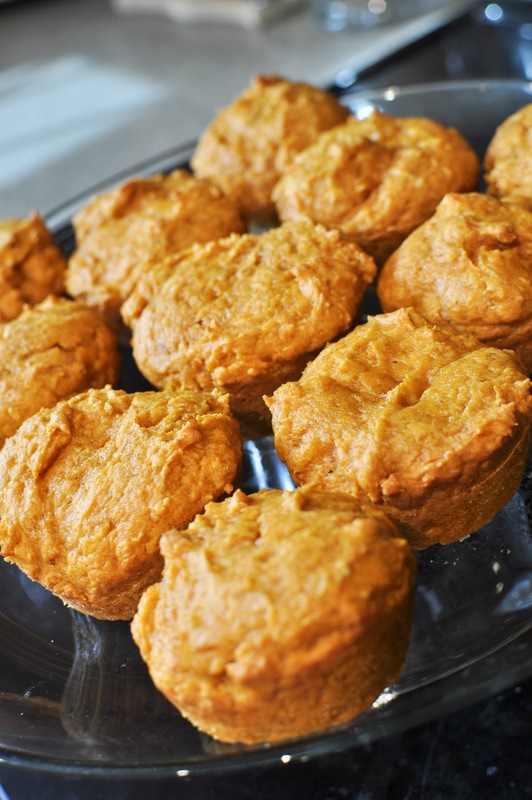 My husband has now deemed them his favorite pumpkin muffins. And I like that they're so easy to make and there's no major kitchen clean-up either. These also freeze really well! I like to make a double batch and freeze one batch and just pop one in the microwave for breakfast each morning...hmmm!